Lost in the Movies (formerly The Dancing Image): The Prisoner - "The Girl Who Was Death"
Well, this one was a whole lot of fun. I was initially nervous - the first thing I ever heard was, "I don't envy you having to watch 'The Girl Who Was Death.'" Then I was excited, because the next thing I heard was, "This is one of my favorite episodes of television ever." Whether or not the episode would be good or bad, I knew it would definitely be interesting. In that sense, it didn't disappoint although I completely understand why people would be turned off. It's ridiculous, silly, and flamboyantly irrelevant to the overall series, taking the challenge of creating a filler episode as an excuse to completely cut loose. There are Indiana Jones-esque booby traps, absurd disguises that would make Windom Earle blush, about a dozen and a half "villain gives hero opportunity to escape" tropes, and a goofy, gleefully dated uber-sixties style with lots of zooms and quick cuts and zany camera tricks. The whole episode takes place not only outside of the Village but without the slightest reference to it (until the end). As if to further thumb its nose at an audience irritated with this diversion, it frames the entire story as a tall tale "read" to children into a nursery. Like "Living in Harmony," "The Girl Who Was Death" flirts with creating an episode that exists in isolation from the rest of the series only to eventually contextualize it as a spin-off of the main thread (using those cute page flips interspersed throughout to tip its hand). We discover that characters we met within the story are actually authorities in the Village, as the old Wizard of Oz "and you were there, and you were there..." trick retains its charm. I can't call this my favorite episode of The Prisoner (let alone of television) nor can I dismiss it as the worst of the show or deny its delightfulness. Will it hold up on further viewings? Maybe, maybe not, but my first experience with it went well. Unlike "Living in Harmony," "The Girl Who Was Death" doesn't open cold. Like "Many Happy Returns" however, the episode does refuse to show us Number Two during the opening credits. So we know it has a surprise up its sleeve. While it retains the usual kickoff, it immediately swerves into left field during the first few minutes. The first shot depicts an illustration of a cricket match in a picture book, from which we dissolve into an actual cricket match. 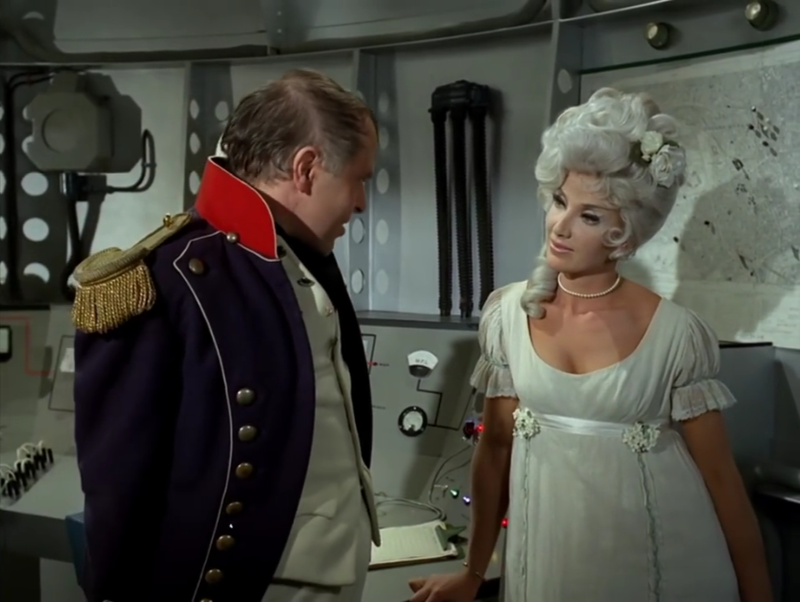 There we meet the comically mustachioed Col. Hawkes (so heavily disguised that I can't even find the actor's name anywhere). Hello, Col. Hawkes. Goodbye, Col. Hawkes. He is quickly blown to bits by a bomb disguised in, um...a Cricket ball? (Apologies to my British readers for not knowing the proper terminology.) Soon enough Six is donning the same mustache and mutton chops - along with a wacky Sherlock Holmes get-up - to track down the colonel's killer. Of course he isn't exactly "Number Six," is he? I have to commend this episode for avoiding the whole awkwardly-calling-Six-other-things-than-whatever-his-real-name-is schtick of "Do Not Forsake Me Oh My Darling." Granted, he's seldom dealing with people who know him on a first-name basis; instead he is mostly interacting with a mysterious stranger, the titular character who also goes by Sonia (Justine Lord). She is the daughter of Schnipps (Kenneth Griffith), a mad scientist with a - quite literal! - Napoleonic complex. Together they plan to destroy London with a rocket disguised as a lighthouse, a plan which Six eventually foils while dodging their various elaborate traps. Judging by what we see, Sonia is the brains of the operation but even she can't overcome Six's cunning survival instincts - or her own sporting desire to help him out along the way. What we see is punctuated by further illustrations from that picture book which have less and less to do with the story being told (a helicopter vs. an airplane, a boat fleeing an exploding lightouse vs. a harpooner battling a whale). And then the big reveal...Six is reading a bedtime story, and Two and his assistant - Seventeen, I think? - are in fact the same actors as Schnipps and Sonia. They appear amusingly similar to the characters Six created: Two is grouchy and distracted, Seventeen is bemused and cool. In reality as in spy-comedy fairy tale, they have been defeated. They thought that Six would let his guard down if left "alone" with children (among many silly plot developments, this is the silliest, especially as it's meant to be "real"). Instead, he winks at them, knowing he's under surveillance and hoping they hated hearing the story as much as he enjoyed telling it. This final twist surprised me even though I probably should have seen it coming. Initially I thought we were getting a real flashback (though the picture book threw me for a loop) - and was amused that I'd never thought of The Prisoner going this route before. As such, I had to arch an eyebrow at the increasingly loony material and the ending seemed like the perfect way to acknowledge this looniness without completely seeming like a cop-out. Apparently this episode (and maybe another?) are alleged to be abandoned episodes from McGoohan's earlier show Danger Man (known as Secret Agent in the U.S.). But I have to imagine the ridiculousness was beefed up when it was decided where they were going to take it. Or perhaps that too was intended to be a fantasy episode? The device of a character telling a filler episode as tall tale is something I've seen before, though I'm not sure how often it was used before The Prisoner. The appeal of "The Girl Who Was Death" is pretty similar to that of "Do Not Forsake Me Oh My Darling." Both are swingin' sixties romps through different locales and genres, using a parodistic spy yarn as the central framework. This episode has one significant advantage over "Do Not Forsake Me...": McGoohan himself. It's a hoot to see him playing a wackier role with a lighter touch and lower stakes (well, his life is at risk the whole time but somehow it seems a lot less threatening then the Village's attempts to break his psyche). As The Prisoner draws to a close, I realize I'm going to have to get my McGoohan fix elsewhere, perhaps by looking up some of his films. Should I start with his Arctic adventure Ice Station Zebra, which I'm told is the reason for his absence from "Do Not Forsake Me..."? Or is that as bad as it sounds? I've really enjoyed his screen presence, with its mix of straight-man gravitas and underlying absurdism. Looking over his filmography, I realize I've already seen him in Scanners (I can't picture the character) and as Longshanks in Braveheart (that one I certainly can). At any rate, he has a grand old time in "The Girl Who Was Death," as does the very chic Justine Lord. Favorite parts are hard to narrow down but I particularly enjoyed his pub purge (even trying to make himself sick, he can still hold his liquor for quite a while) and his imaginatively choreographed trip through a village (not that Village) with appropriately themed challenges from the Butcher, Baker, and Candlestick Maker. On the other hand I grew a bit weary of the wackiness in the Napoleonic lighthouse and only forgave this section when it was explicitly hand-waved as kiddie fare. This entry essentially wraps up Christopher Yohn's viewing order, since the final two episodes appear to be undisputed across the board, so I'd like to take a moment to reflect on its impact. To my mind, this approach has worked really well. Maybe I'll feel differently after finishing the series but for now I appreciate the way it shaped the journey, positioning more semi-conventional episodes near the beginning (allowing me to get the lay of the land and understand the conventions and perameters of the Village) while pushing most of the more experimental concepts toward the end. Though the episodes themselves were not designed as a journey, in this context they worked that way for me (the few I might question are "Hammer into Anvil" and "A Change of Mind," which felt a bit more of a piece with earlier episodes but then again, there were elements that made sense later in the series). I'm not yet sure what Christopher's intentions were in shaping the viewing order as he did but I look forward to discussing it with him...and also discussing other possible viewing orders (or the value of a completely random viewing order) with others. Meanwhile, placing this lark right before the final push felt right. It's a breather before what promises to be a rousing, memorable race to the finish line. Well, I'm glad you didn't hate it! This was transmitted as the ante-penultimate episode too, and I think you'll see why. It has a kind of 'special relationship' with the finale, although I can only really talk about that when you've got to the end. If you want more McGoohan I would suggest 'Brand' and 'Serjeant Musgrave's Dance', which feature stellar performances from him. 'Danger Man' is a less interesting series than 'The Prisoner' and there is a lot of it, but there are episodes of it, 'Colony Three' and'The Ubiquitous Mr Lovegrove' in particular, that would interest anyone with a liking for 'The Prisoner'. 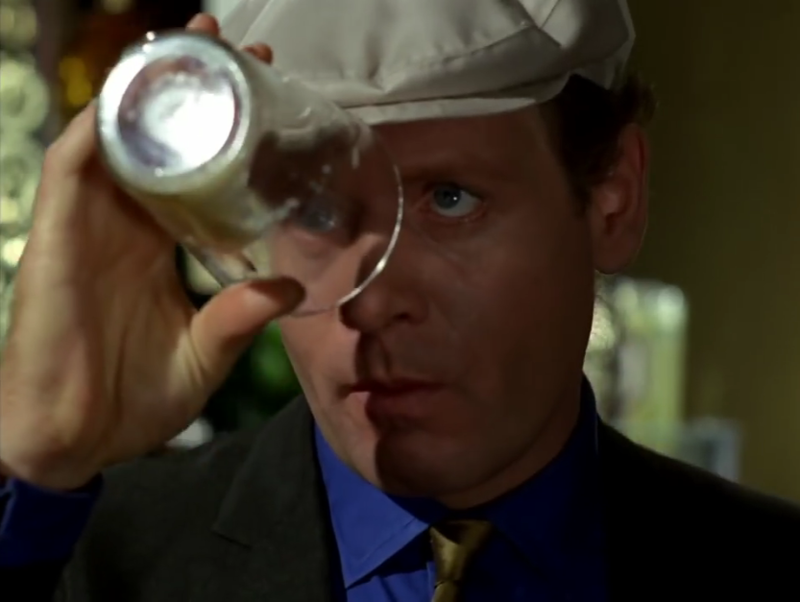 McGoohan is also in several 'Columbo' episodes, winning Emmys for, I think, both acting and directing for one of them. They are also worth tracking down. Oh, it's a real children's book, btw. The story was built out of the illustrations as a kind of pop art experiment (which the Prisoner himself then effectively replicates within the story). I always enjoy this one and look forward to seeing it again. I don't consider it or any of the others to be filler episodes though as there just never seemed to me to be room for that in a series of only 17 episodes (having said that though McGoohan himself said afterward that he only considered 7 of them to be essential). For me, beyond the unique pleasures of this one, part of what I like so much about this episode is exactly its placement at the end, right before the end, whether this was fully intended as its final placement or not. It works well as a lead in to the end because, even more so than most of the episodes in which The Village is effectively bested by Number Six, it depicts a Village system that is running out of ideas and which leads rather inexorably to the necessity of a conclusion as you'll see. I also always wonder about the Village children. I may be wrong but I don't think we see any indication of their presence elsewhere in the show or in The Village. What's curious is that that isn't more curious to us. You never really question it or even think about it much till we're confronted with it directly here. Still, I tend to think their status has more to do with a slip into a more explicitly different register that occurs around this point, but more on that later. Sorry, that was my comment above. Somehow it got through without my name being attached. James, thanks for the recommendations. And that's fascinating that it was a real book. I kind f love that idea of making up the story out of random pictures, reminds me a bit of the Exquisite Corpse game. Nathaniel, great point about the kids. I feel like when I saw them, I just accepted it, then as I started to write I thought to myself "Wait...kids?" And then I forgot to bring it up! Next to Six having a fiancée, it feels like the most offbeat (maybe slightly throwaway) idea yet. There are a couple of times earlier in the series where people say they grew up in the Village; I think the watchmaker's daughter in It's Your Funeral might be one? At least one child can be seen in Living In Harmony.